The Urban Service Track/AHEC Scholars is a unique interdisciplinary program where students in the Schools of Nursing, Medicine, Dental Medicine, Pharmacy, and Social Work train together to work with underserved populations. 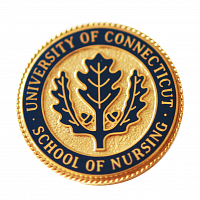 The Urban Service Track is an outgrowth of a shared vision and long-standing relationship between University of Connecticut School of Nursing and the Connecticut Area Health Education Center (AHEC) Program, which is based at the University of Connecticut Health Center. The Urban Service Track is designed to produce a cadre of well qualified health care professionals committed to serving Connecticut’s urban underserved populations. As Urban Health Scholars, participants represent a select group of students enrolled in the University of Connecticut Schools of Nursing, Pharmacy, Medicine and Dental Medicine. Urban Health Scholars are selected each year from among qualified applicants who have a demonstrated commitment to service. They gain valuable exposure to the complex and challenging issues of health care in the inner city, and a strong mentorship component supports the Scholars as they navigate their own personal and professional development. Students develop competencies in: culture and linguistics; population health; health policy; advocacy; health care financing and management; leadership; community resources; interprofessional health care teams; and quality improvement. Urban Health Scholars, who are eligible for financial assistance, may apply for scholarship and stipend support. Financial support is based on resource availability through the Financial Aid Office on each campus.